Brand: Wabash Valley Farms WVF-25008A Units: 1 Makes 6 quarts of popcorn in less than 3 minutes. Patented stirring mechanism prevents sticking and burning. Kit includes fresh popping corn, buttery salt and popping oil, enough to make 6 full quarts of "theatre style" popcorn. Recipe book included. Makes 6 quarts of popcorn in less than 3 minutes. Patented stirring mechanism prevents sticking and burning. 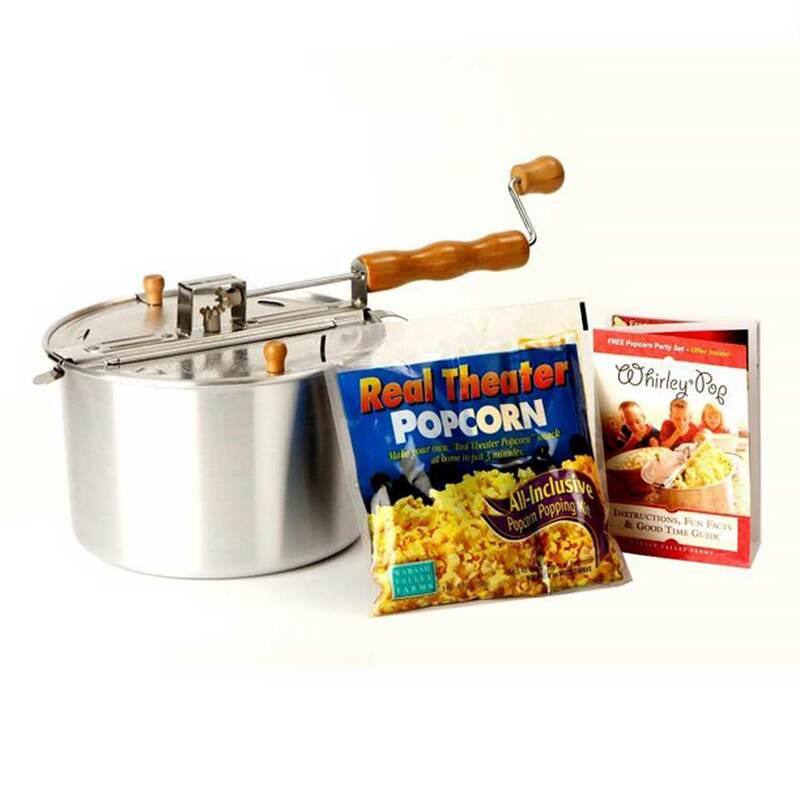 Kit includes fresh popping corn, buttery salt and popping oil, enough to make 6 full quarts of "theatre style" popcorn. Recipe book included.